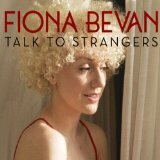 Given her pedigree as a songwriter and in-demand collaborator on a wide range of musical projects, it seems extraordinary that we are only now hailing Fiona Bevan’s debut album, Talk to Strangers. 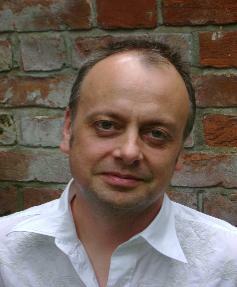 The co-writer – with Ed Sheeran – of One Direction’s “Little Things”, Bevan also made a notable contribution to Gwyneth Herbert’s treasurable The Sea Cabinet song cycle. 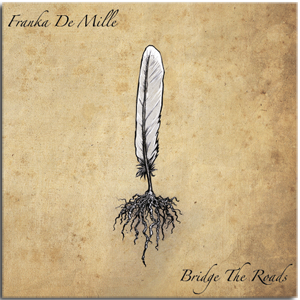 Like Herbert, she is a unique talent, capable of harnessing styles, riffs, hooks and melodies and spinning them into complete, multi-tiered and utterly absorbing stories. The lyrics of these songs are scintillating. Bevan’s voice, with its flexibility and that helium shimmer at the top, is the perfect vehicle, treating them with a pop sensibility that seduces you, allowing the darker streaks and uncertainties to sneak up on you and pull you deep into the narrative labyrinth. Don’t be fooled by the quick tempo of the opening tracks, “Rebel Without a Cause” and “Slo Mo Tiger Glo”. Sinister underlying forces soon emerge, piercing the guitar-driven ballads with doubts and questions, not least in the pent-up rage of the “The Machine” and the pure sadness of “Dial D for Denial” – a break-up number that pitches torch-song lyrics against an up-beat melody to heart-wrenching effect. The airy, wistful beauty of “Monsoon Sundance” provides some respite before things take another detour into the complex landscape of “Exorcist”, where jealousy eventually finds resolution, and the thoughtful title track – a cry for the power of human communication. These are timeless themes, rendered in eclectic forms and styles that acknowledge Bevan’s cinematic and literary influences, while remaining proudly independent and resistant to categorisation. The epic feel of the closing number – “Last Days of Decadence”, partly a response to the last financial crash – would resonate in any decade of the last 100 years. Talk to Strangers is an ambitious piece of work. Bevan paints big, bold musical pictures. The joy of repeated listening lies in discovering the depth and detail which lie just beneath the surface. 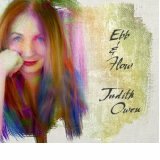 On 23rd May 2014, I was a sofa guest on BBC Radio Suffolk, chatting to Chrissie Jackson about this blog, among other things, and why there are plenty of female singers who deserve much greater media coverage – and why now is the right time to get on with writing a book that’s been germinating for 20 years. This is a conversation-only version of the interview, with music and radio bits edited out (thanks to my brother, producer Julian Ford).